This outstanding basketball trophy is part of our 3D Motion Xtreme Resin Series. This resin trophy stands tall at 5 inches including the base, and features a basketball player bouncing a basketball, with a larger ball in the background. The resin is silver-gray in color with gold detailing. 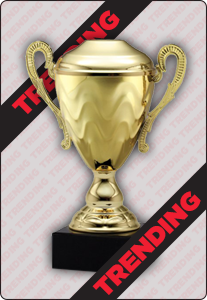 Choose to engrave this trophy with a message, motto or event details.